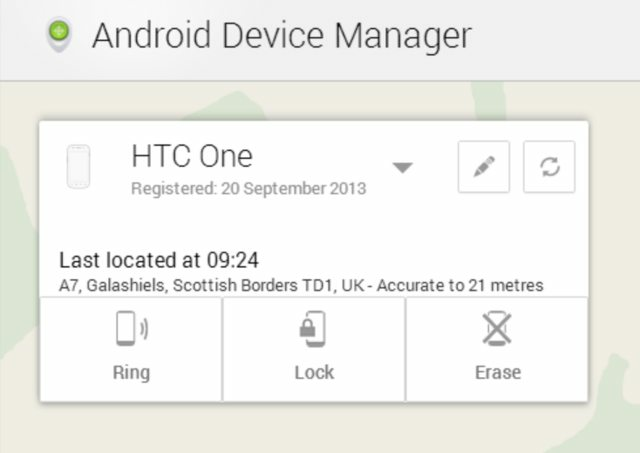 Google launched a free service Android Device Manager last month to allow Android phone users to ring or remotely wipe data from their lost phones. Now a new feature has been added. You can now lock device with a new password, no matter what security measures you previously had in your phones. When you click on the Lock button, it will prompt you to enter and confirm the password you'd like to use for your lost phone, so that no one (other than you) could use your phone and access your data.